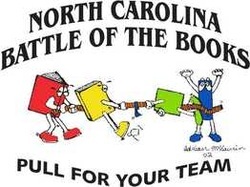 All students are welcome to participate in Battle of the Books, a literary competition that tests students on their knowledge of the books list below. Team members are required to read books from the list and write questions to be used during practices. In February/March, a team representing HGMS will compete against other WCPSS middle schools in head-to-head battles on stage, in front of an audience.